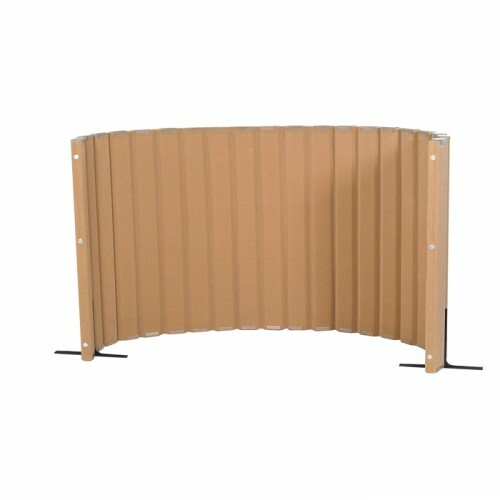 Quiet Divider® with Sound Sponge® 48″ x 10′ Wall – Natural Tan by Angeles. Amazingly sound absorbent flexible room dividers help create learning centers and separate space. Quiet Divider® with Sound Sponge® are lightweight and easy to maneuver and are hook and loop compatible. Glides are included for easy movement along bottom edge. Magnetic connectors easily join panels. Dividers are easy to clean with standard carpet cleaner and are latex free. Storage strap and 2 support feet are included with each divider. Available accessories allow for multiple configurations.